It is this much more sinister interpretation of fate that is referenced so frequently in Slaughterhouse-Five. Billy Pilgrim has come unstuck in time. An apathetic, accidental time traveler, Billy is abducted by aliens, bombed in Dresden, dragged from the burning ashes of a plane crash… so it goes. Yet what is remarkable about Billy, is that he is, despite his unique experiences, so very unremarkable. Billy lives outside of himself, that is to say, he is merely an observer of his own life. Life just happens to Billy whilst he passively tolerates it. The narrative is so luxuriously apathetic that indifference begins to look appealing. How nice – to feel nothing, and still get full credit for being alive. When Billy is abducted by the Tralfamadorians, and placed inside their zoo, he learns a lot about time. For them, time is not linear, as we perceive it to be; rather it is a sort of constant tapestry of stuff that happens. That tapestry won’t budge or alter; everything that happens in it has happened, is happening, and will always happen. Though Billy may not think too much about it, the implications of this are huge. If time isn’t linear, then there is no freedom. All actions take place because it is necessarily so. That is a very Earthling question to ask, Mr. Pilgrim. Why you? Why us for that matter? Why anything? Because this moment simply is. 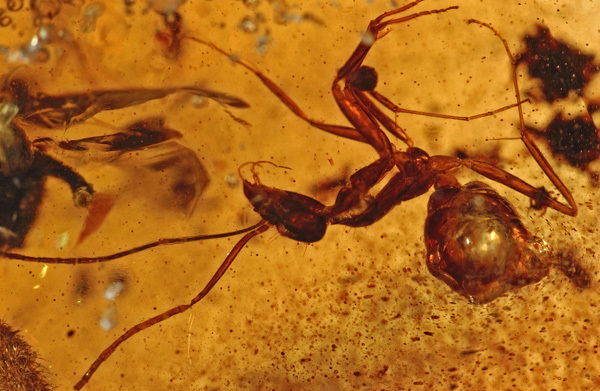 Have you ever seen bugs trapped in amber? Of course, most people don’t really believe that no actions have consequences. That would just be depressing, for one thing. What would be the point in trying to bring about change? Even the notion of justice goes out of the window: it seems unfair to punish a man for a crime that he was always necessarily going to commit. And yet… what if it was true? What if that shiney future full of endless possibilities, is non-existent, or rather, has already happened, and will continue to happen in much the same way? What if we were merely characters in an infinite play? Billy’s reaction to this notion is to feel nothing; to enjoy given moments if they happen to be enjoyable, and yet to remain, on the whole, indifferent. If I am going to spend eternity visiting this moment and that, I’m grateful that so many of those moments are nice. But at some point, despite his incredulous daughter’s protestations, Billy feels compelled to share his knowledge of Tralfamadorian time with the world. 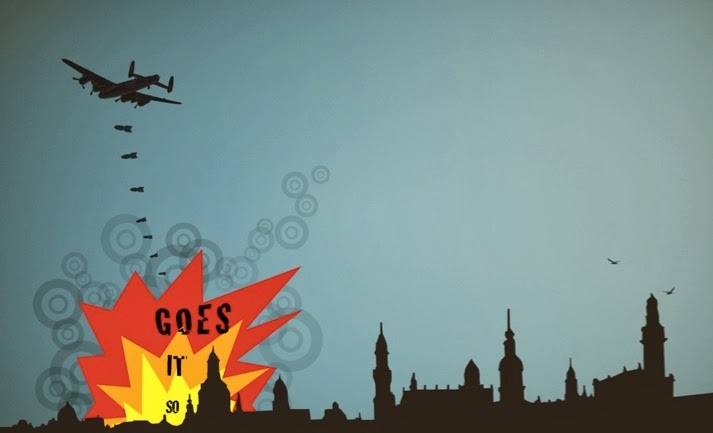 But, since we are talking about things that necessarily happen, let’s consider what is really happening, has happened and always will happen in Slaughterhouse-Five. One account is that Billy Pilgrim has come unstuck in space and time. He is an accidental time traveler who is captured by tralfamadorians and kept in their zoo. He is bombed in Dresden and is the sole survivor of a horrific plane crash. But is that necessarily so? Perhaps Billy Pilgrim has just become unstuck. There were no tralfamadorians, no time travel, just a dazed man baffled by the senseless chaos of the unspeakable suffering that he has borne witness to. Here’s where Vonnegut, who was himself a soldier, really gets into the psyche of the effects of war: those who have seen senseless deaths, unspeakable atrocities, heart-wrenching suffering, have had to question: what could I have done? That tragic refrain, so it goes, repeated so frequently throughout the novel is one man’s lethargic submission to the idea that he cannot change the world. Beci Moss is a second year student at the University of Edinburgh. She studies French and Philosophy. She is also the LITERATURE Editor of Prancing Through LIFE. In her spare time, she likes to cook, bake and blog about it: www.voicimieux.com. One day she hopes to become Mary Berry, and can assure everyone that she never has a soggy bottom. I read this article and found it very interesting, thought it might be something for you. The article is called Bugs Trapped in Amber: Fatalism in Slaughterhouse-Five and is located at http://prancingthroughlife.com/2014/03/19/bugs-trapped-in-amber-fatalism-in-slaughterhouse-five/.